The month of March has whizzed by. 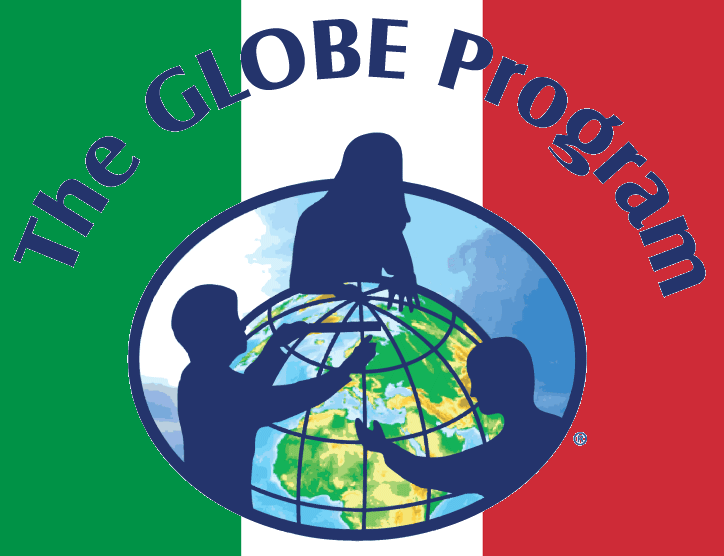 Lots of projects in the GLOBE Implementation Office are underway. Let me fill you in on a few of them. We had a visitor in the GIO last week, Mr. Todd Chapman, United States Ambassador to Ecuador. The Ambassador knew about GLOBE but wanted to learn about new developments and possibilities for Ecuador. After a fruitful discussion, Ambassador Chapman was even more enthusiastic about the possibilities for sharing and strengthening GLOBE's presence in Ecuador. World Met Day, held on March 23, was a win win for GLOBE, GLOBE Observer, the NASA Cloud Data Challenge and the World Meteorological Organization (WMO). 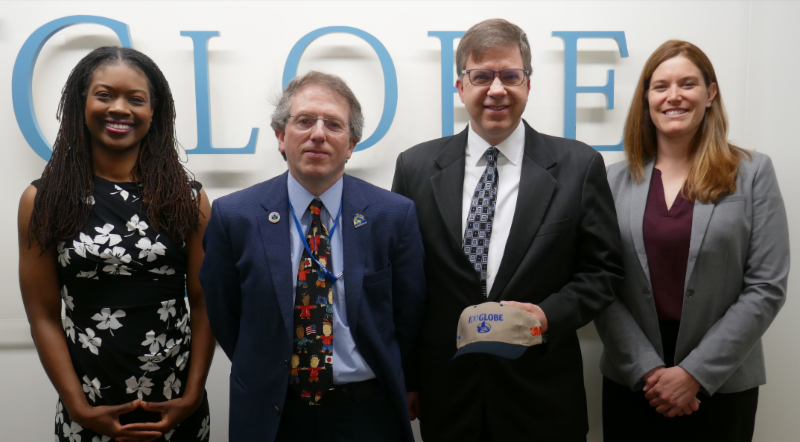 The potential partnership was initiated during the summer of 2017, when I met with members of the WMO Education and Training Unit here at the GLOBE office to discuss how GLOBE and WMO might work together. Apart from sharing appropriate resources, the idea of getting Met services around the world to know about and understand GLOBE led to the collaborative effort last week. The event was a Facebook Live broadcast which focused on clouds and the WMO's World Met Day theme: "Weather-ready, climate-smart." 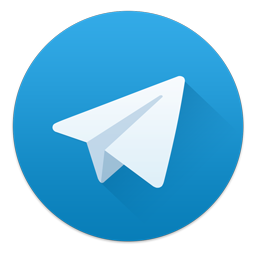 The broadcast invited people to submit cloud observations to NASA through the GLOBE Observer app for our Spring Cloud Challenge. In addition, GLOBE Observer posted stories to NASA's Snapchat and Instagram accounts. All three events were promoted extensively on social media and shared through the WMO's communication channels. The total estimated reach for the day was 2.1 million as of March 26! The challenge has resulted in a significant uptick in citizen science participation in GLOBE Observer as 20,000 new users registered in the days leading up to and following the events. Thanks to all the individuals at NASA Langley, NASA Earth Facebook, GSFC and SSAI as well as WMO Secretary-General Petteri Taalas and all the folks at the WMO who made this happen. Earth Day is coming up on April 22. As in recent years, GLOBE will host a Google Hangout, where I'll be talking about some strategic initiatives for GLOBE in the year ahead. Check the GLOBE website home page for info about this broadcast, in the week preceding Earth Day Whether you chose to go outdoors to collect data, learn a new protocol, or tackle an environmental clean up effort, please do plan to so something special on Earth Day, which marks the start of the 24thyear of GLOBE operations. You can find Earth Day Tips -- ideas about how to observe Earth Day in your classrooms -- from the Earth Day Network, the global coordinator of this massive worldwide event, now in its 48th year. We are nearing capacity for the GLE in Ireland. If you have not yet registered, please do not delay. Once we reach capacity we will be unable to accept any additional attendees. Late Registration starts on16 April. If you register starting from that date onwards, you will have to pay an additions 75 dollar late fee, so try to avoid that! When making your travel plans to Ireland, please be aware that you should reach The Gleneagle conference hotel by 3 PM on Sunday, first of July, in order to check in, and take part in, the general informational meeting before boarding the buses to the Parade of Nations through the town of Killarney. Link to complete GLE registration and event details. Link to additional resources to help you decide to attend.